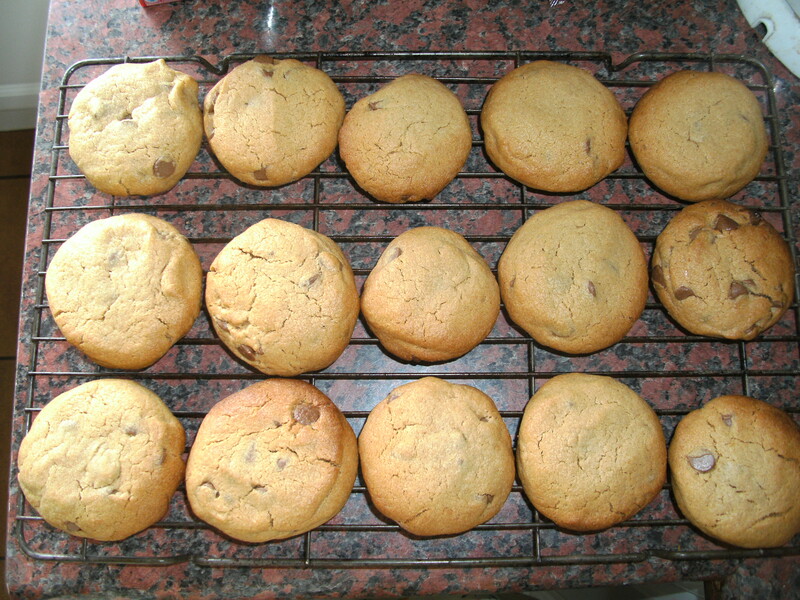 I decided to start with something I’ve made before, but been wanting to make again for ages: peanut butter and chocolate chip cookies. 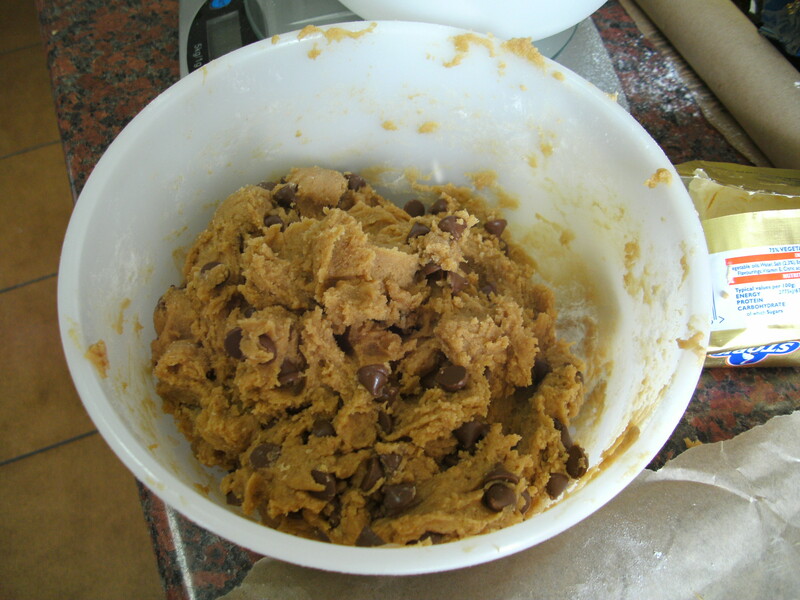 Not the most healthy way to kick things off but what did you expect from a baking blog?! It says it makes 25 biscuits but I only got 14 medium sized ones. Cream the butter with both types of sugar till light and fluffy. Although I have to say it’s fairly dense compared to normal caster sugar and butter, so don’t worry if it’s a bit thick. They took 20 minutes in my oven but just keep an eye on them and take them out when they’re golden brown around the outside. 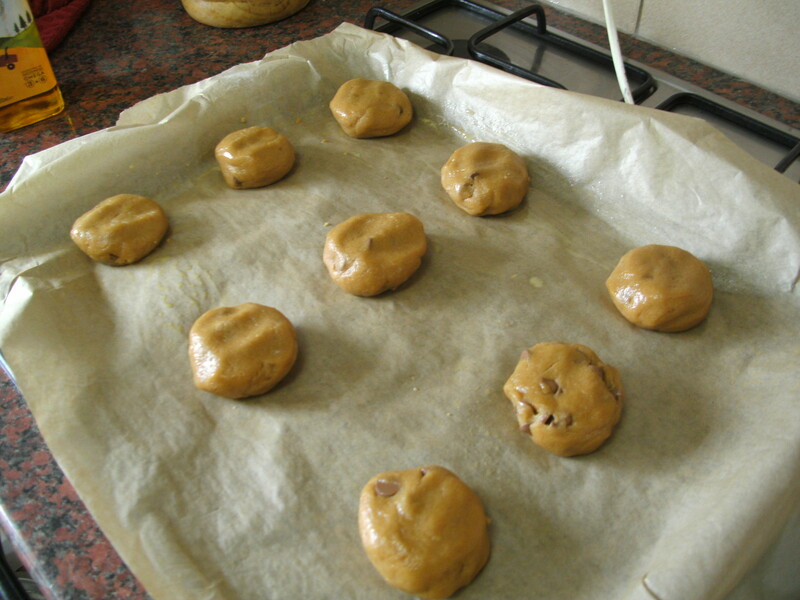 If you do make them thinner, they will take less time to bake. They taste absolutely amazing – they literally melt in the mouth. I would definitely recommend this recipe! So easy, and yet the outcome is really special. 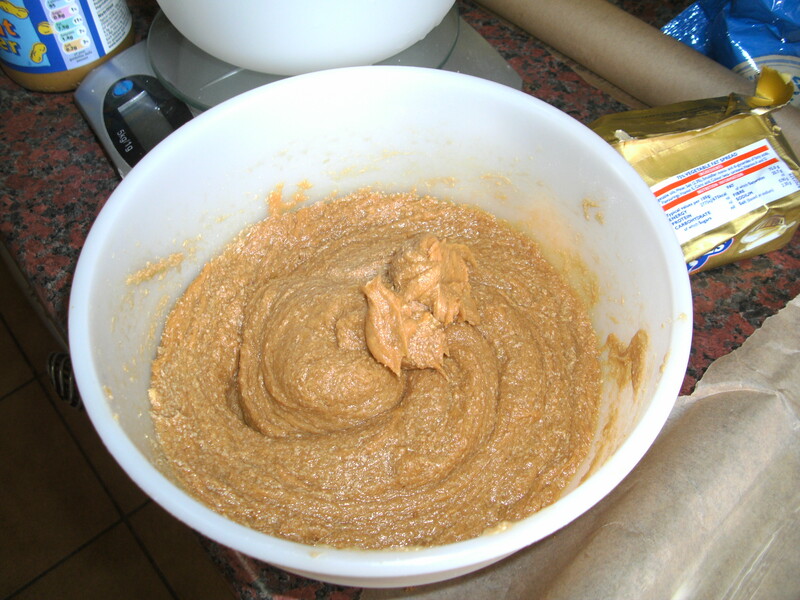 So, today’s lesson: peanut butter is amazing to bake with! I’ll definitely be looking for other ways to incroporate it into baking recipes, watch this space! Just made these again because they’re so easy and delicious! Whoops, may have developed an addiction….